Due to the new update, when Poison Spell doesn’t affect idle clan troops anymore, I am here to show you the new best Clan Castle Troop combinations, which can easily survive the Poison Spell and ruins your opponent’s attacks. 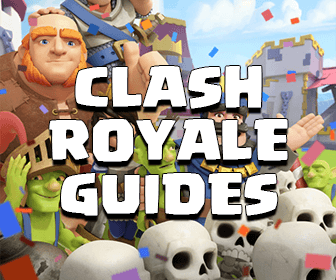 Tips: You can predict what attack strategies the enemy Clan will use in Clan War by scouting their profiles (of course players normally use their best troops) so we can decide which troops we should donate to our Clan Castles. For example, If your Clan War is 10 Vs. 10 and the enemy Clan has 10 Town Hall 9 villages with good GoWiPe troops and level 5 Hog Riders, we should use troops to target ground attack strategies. 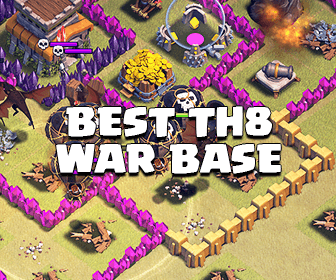 As we all know, Mass Dragon, Dragloon and other variations are still dominating at early Town Hall 8 and most TH8 players use them in Clan Wars. The best troops to use in our Clan Castle should be 1 Dragon + anything. From mid Town Hall 8, because of high level Air Defenses and decent Anti-Dragon war bases, Dragon variations are not able to achieve 3-star wins anymore. This is the time for variants of Golem based attacks and Mass Valkyries. Here are some good Clan troop combos for mid-late Town Hall 8! Although the attack can kill your Witch and her Skeletons easily by using the Poison Spell but If he lures these Clan troops to the corner, he will have a hard time because of the difference in moving speed of these troops. It will be pretty hard for inexperienced attackers to group this combination and use the Poison Spell. He will need to spend a lot of time as well as troops to deal with these troops. Most attacking strategies at Town Hall 9 evolving around Hog Riders, Valkyries and Lava Hounds. Please take a look at here for more details! Above are just some Clan troop squads for dealing with the new Poison Spell in Clash of Clans. I am going to update more in the future. If you have a great composition, don’t hesitate to comment!